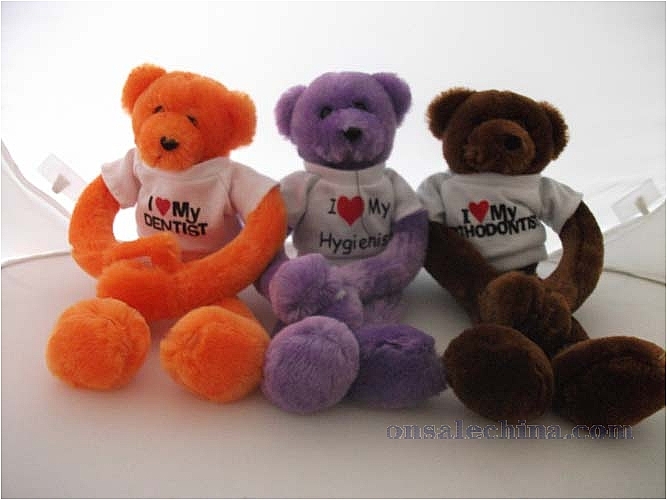 Teddy bears with T shirt, size:15cm. 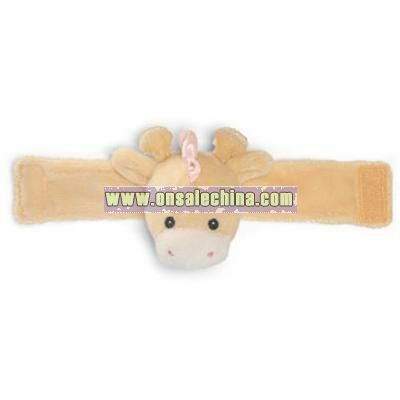 Plush toys as picture show,design and size customized,with high quality. 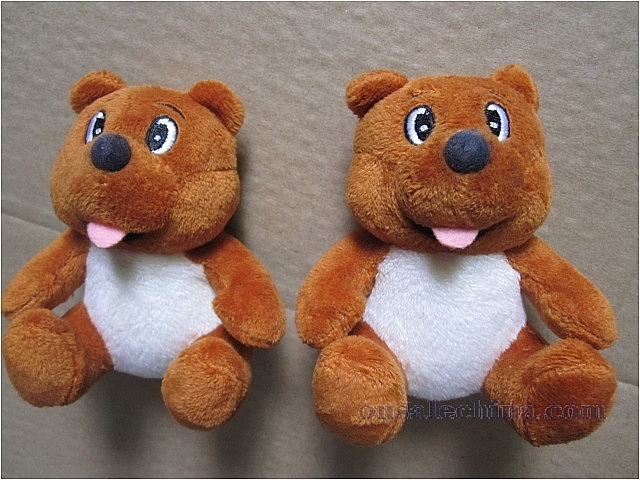 Plush bears with soft stuffing.size: can make as your require.logo embroidery. 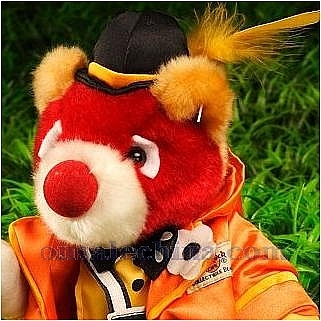 Bear toys with T-shirt, size:30CM or customised.logo customised. Features:1. TMX ELMO- He's up, he's down, he rolls around and he giggles endlessly. Tickle Me Elmo has never giggled and moved around so much. Elmo's impressive automatic stand up action keeps you going while he continues to giggle and say, 'I got tickled. ' You can't help but laugh right along with him. '2. 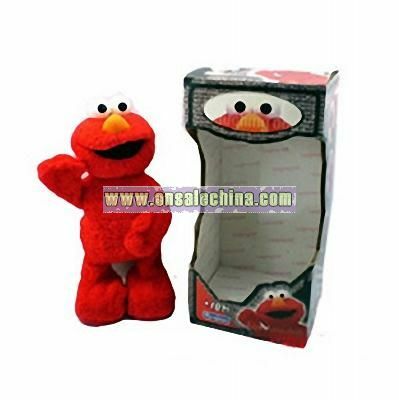 He has three modes of giggle action - Press his foot or belly and hear him say, ''You tickled Elmo. '' Watch him go from standing to sitting. 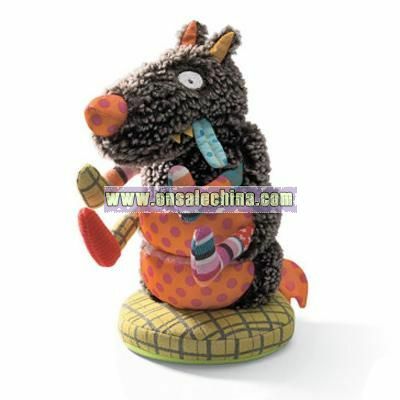 Then, he falls back, sits and stands straight up again - the whole time giggling away and flapping his right arm. Touch his belly again, and he sits and rolls from one side to the other. He ends up on his back, kicking his legs, flapping his arms and giggling with the words, 'You did it again. ' Another press of his belly and he does it all! He sits, rolls from side to side, then onto his back and finally ends up on his belly. He continues to laugh as he pounds the floor with his hand. He ends his hilarious giggle session by standing up and letting out a deep sigh.3. Elmo has a few more phrases: 'Again, again, ' and 'Give Elmo a break, please, ' and 'I can't stop laughing! ' Watch out, you may giggle uncontrollably with Elmo. 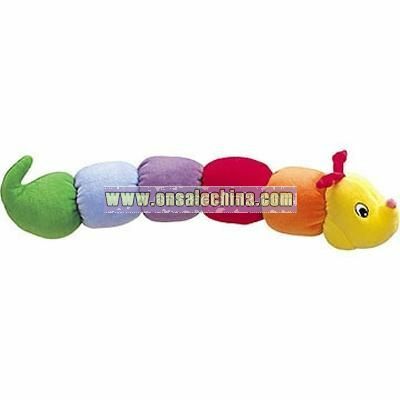 The tender wrist rattle will keep your child entertained for a while!! Comes in blue and pink!Size 6.5"